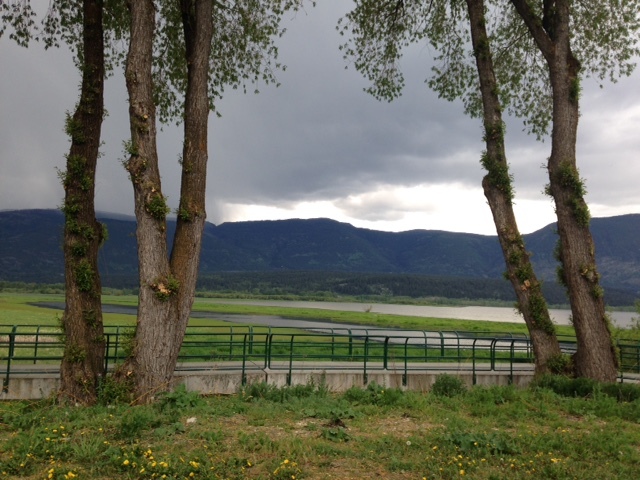 Yes, we did get a teeny bit of rain that afternoon but it was such a beautiful setting, I just had to share: just a tiny part of Shuswap Lake on the edge of the town of Salmon Arm,BC. 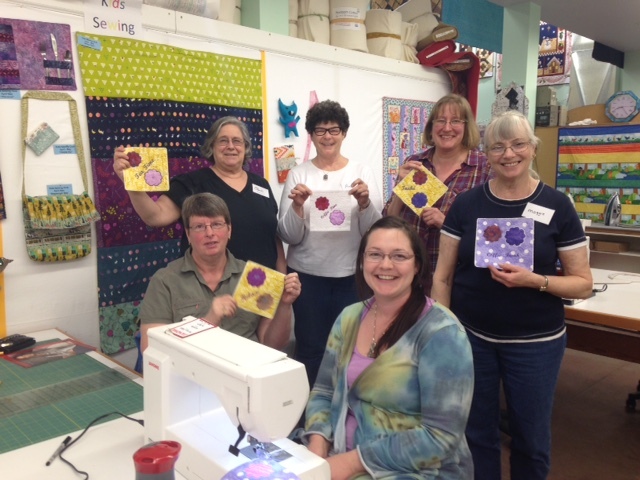 One of the groups of ladies who attended a Quilting workshop held recently at Thread & Paper – where they also made those little mug rugs. 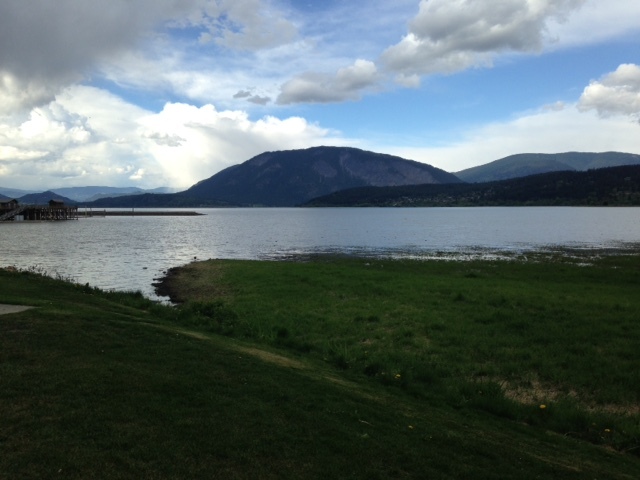 Salmon Arm is a beautiful town nestled between mountains & lakes in the lovely Shuswap Region of BC. 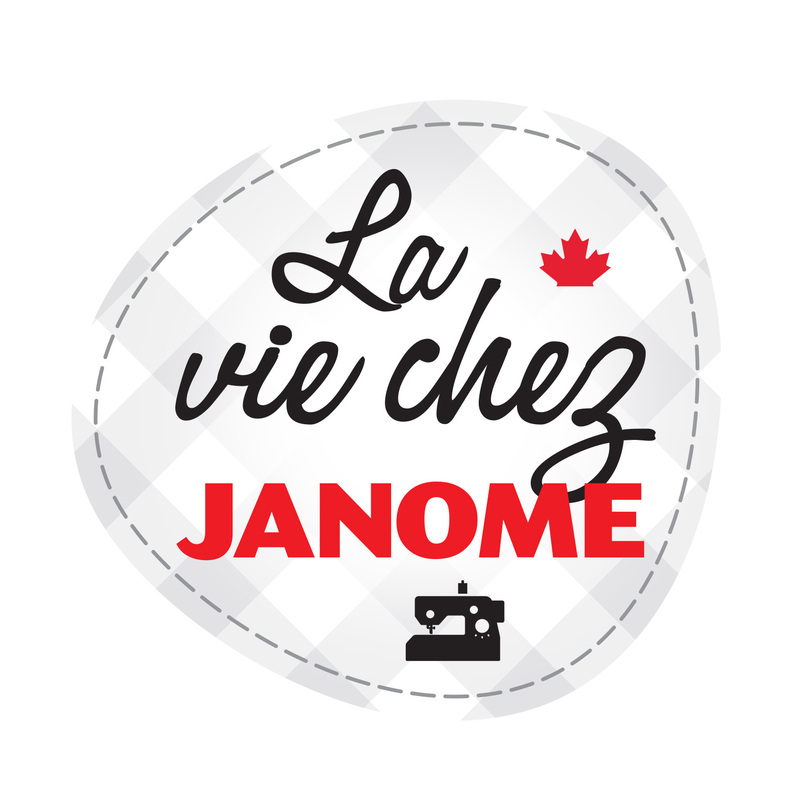 We have had a Janome dealership in Salmon Arm for many years. Last year, The Sewing Basket was sold as the previous owner, Jan, wished to retire. Ericka measures fabric for a customer behind the front counter – Ericka is the new owner of the store with her Mom, Carol. The new owners are Carol & Ericka who are a dynamic mother & daughter team. 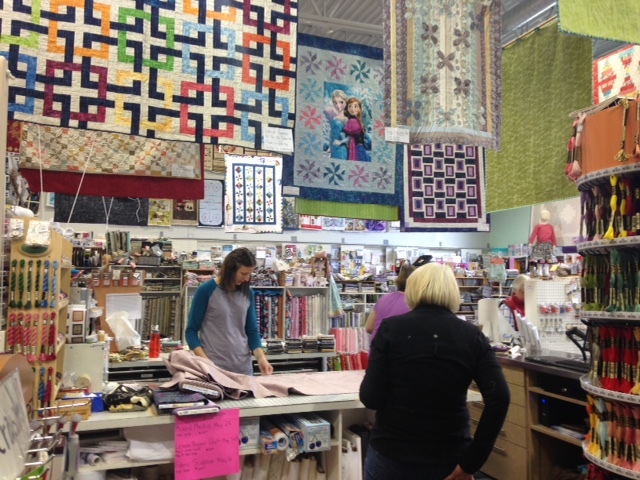 They have changed the location & name of the store: it is now called Thread and Paper and is located right on the Trans Canada Highway 1 as you come into town from the Vernon side. 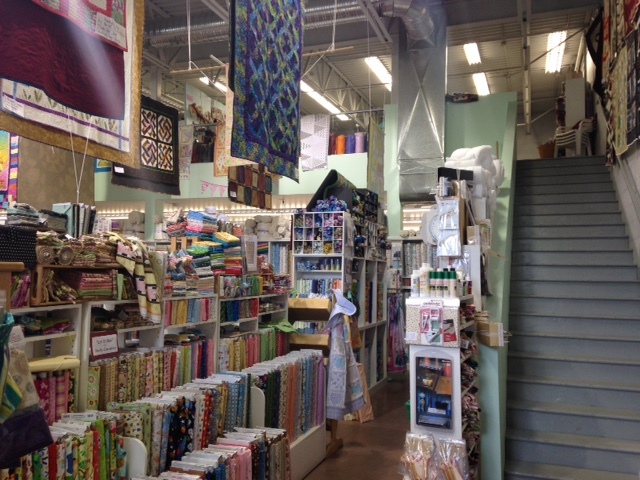 The new location is large and boasts a pretty impressive selection of quilting fabrics, yarn and scrapbooking/card making paper crafts + classroom on the main floor. 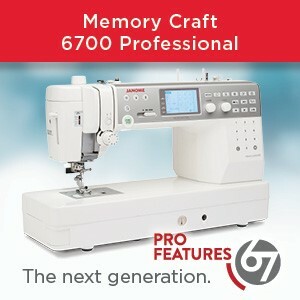 A customer will find the bargain ( sale/reduced items) as well as all the sewing machines upstairs on a mezzanine level. 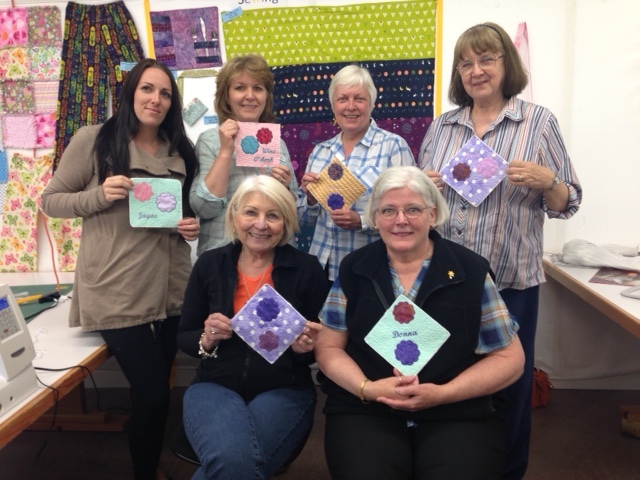 Another group of Quilting workshop ladies displaying their mug rugs. Hope you enjoyed the pic’s of this charming store & surroundings as much I enjoyed my recent visit. If you happen to be taking a vacation in or near Salmon Arm, you might like to pop into this store. 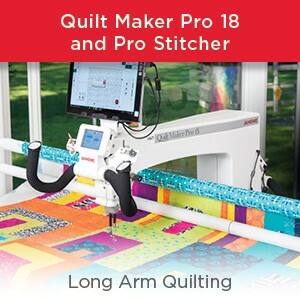 They are open for impressively long hours so you will not be limited if you like to browse among the fabric and Janome sewing machines at your leisure. Oh…..And I did leave some of the reduced/sale fabric upstairs for you! 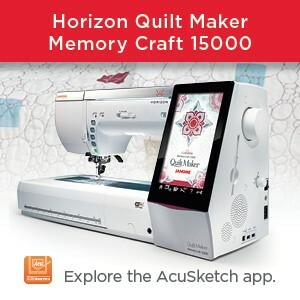 This entry was posted in ACUFIL QUILTING SYSTEM, Applique, Creativity, Janome Embroidery, Janome Fun, JANOME HORIZON MC15000, JANOME MC 8200, JANOME MC 9900, JANOME PROJECT IDEA, Janome Quilt, Janome Sewing Machine, Janome Sewing Machine Feature, Janome Sponsored event, Memory Craft 15000, Sewing, Sewing Project, Skyline and tagged JANOME EDUCATOR VISITS IN BC INTERIOR 2015, Janome Embroidery machines, JANOME QUILTING MACHINES, JANOME QUILTING WORKSHOPS IN BC 2015, Janome sewing machines, MUG RUGS WITH JANOME, THREAD N PAPER SALMON ARM BC. Bookmark the permalink. This is a good quilt shop.